Web School is cutting edge school management system software aimed to make administrative works of educational institutions easier. This holistic software solution enables the education institutions to handle all the day-to-day functions in a comprehensive manner. Web School is highly customizable solution having exclusive modules dedicated to effective management of teachers, students and staff records. With unique and competitive features, the solution is based on conceptual design and employs cloud-computing technology. The solution consists of automatic report generation and unlimited data storage capabilities facilitating anytime anywhere easy data access. GESCIS Technologies, the initiators of Web School is a pioneer establishment focused mainly on software development and internet marketing, haves a clientele list spreading all across the world. GESCIS school management system owns a strong client testimony for boosting productivity and efficiency of academic administration. We realize that not all the people who are going to use this software will be technically adept. Keeping this in mind, we have made this software. Therefore, just about anyone will be able to navigate this software with relative ease. 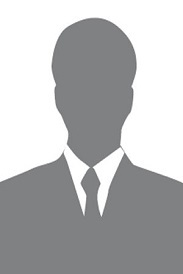 Customization is one of the major features of this product. No two schools will have the same system in place to run their schools. Our customization feature for Web School, enables you to make changes to it, so that becomes best suited for your school’s proper running. Web School uses ultra-responsive HTML 5 for its coding purposes, making it a highly efficient. The new HTML 5 includes much better creative options, making it easier to handle and also have better page structure. Web School is based on PHP language which is ideal for creating vibrant and user friendly web pages. In this server -side scripted language; the original HTML document contains the code. One major advantage of this language is its compatibility; almost all servers as well as operating systems available in the market today work smoothly with this language. Web School runs on cloud based system. This new state of art technology, allows the date to be stored in a stored in a different third –party system. However, if a client towards having an offline version, then we will also facilitate such a demand. Q. How do I log in to Web School Mobile App? The Web School App can be downloaded from Google Play Store, The link is https://play.google.com/store/apps/details?id=gescis.webschool&rdid=gescis.webschool. Once you install the app on your smart device then enter the School Code provided by School or mail our Support Team support@web-school.in. Login using Username and Password. Q. How can I view Attendance in Web School Mobile App? Login to Web School Mobile App. Click on the Menu option on the Top-left. Click on Attendance. You Can View Attendance details. Leave days will be marked in Red bubbles. Leave details will be displayed Below. Q. Is it possible to get Bus Details through Web School Mobile App? Yes it is!!! Please follow Below Steps Login to Web School Mobile App. Click on the Menu option on the Top-left. Click on Transportation. You can view either Route Details or Live Tracking. You can also get Contact details of Driver, if needed. Q. How to Activate an Academic Year? Q. What All Reports can be generated in Web School? 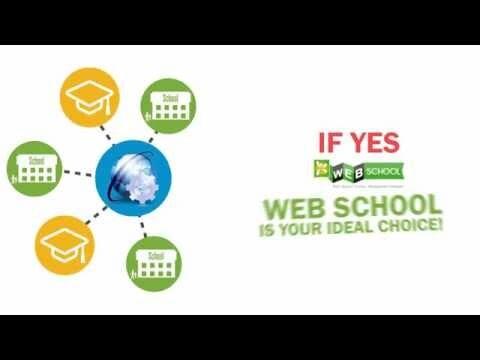 Web School helps in generating various reports for different purposes. The reports are available in two forms, for whole school or for particular course & batch. The reports are listed below: Student Report. Student Details. Elective Subjects Report. Fee Due Report. Fee Paid Report. Absentees Report. Class Report. Fee Consolidated Report. Using Techjockey saved me a lot of time. I worked with Brittany Walther. She called me back after what seemed like only a few minutes. From asking a few key questions, she sent me a list of 5 vendors that were appropriate for the size of my organization and were familiar with higher education. Within a day or two I had calls scheduled with all the vendors. It really cut down on the work I had to do. We are still evaluating products but I would not have progress this fast without the help of Techjockey.